Fr. 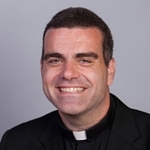 Jake Martin, SJ, is a Jesuit priest, comedian and writer. He is pursuing a Licentiate in Sacred Theology at Heythrop College in London.